It may be the weekend, but the fun ain’t stopping just yet. We have a little over a week left until Christmas Day, I’m sending my best wishes to all of you out there still scrambling for last minute gifts or having to prepare not to grimace too obviously during your upcoming awkward office holiday party. For those of you out hitting up the brick and mortar shops this weekend, my dear friend Kim has THE letter for you: she’s the proudest Texan I know (okay, there is maybe ONE other person I can speak for being as Texas as Kim), and the biggest Disney nerd I know (and actually nobody can compete for this title from Kim). No matter how much you love things, you’ve gotta make sacrifices to do what you love. Ol’ Kimmie packed her bags and moved to live inside Sleeping Beauty’s Castle in Disney World full time. Next time you’re in Orlando, you can easily spot Kim sporting mouse ears, eating Dole Whip, and singing tunes from the Hercules soundtrack. Between not one, but two cross-country moves, my daily commute, and tourist traffic, I’ve spent more than my fair share of time in my car this 2017. Anyone who has ever been in my passenger seat can tell you that I only have one rule when it comes to driving music, but it’s one that I follow religiously: N a ong llowe. Let’s face it, we really went through it this year. No matter who you are, this has been a rocky one for all of us, and it’s so easy to use car time to wallow in everything that’s going wrong with the world. That stops now, my friend. From now on, I urge you to use the time alone in your car for its intended purpose–singing very loudly and making the person next to you at the light wish they had put you on their Snapchat. his easily one of my top-listened to songs this year. MNEK’s booming, soaring voice over The Knock’s expert production harkens back to the 90’s in a way that’s delicious and not at all gimmicky. early 3 years after their sophomore album, Walk the Moon came back with a vengeance with this song. This track has a decidedly more modern feeling than the 80’s Talking is Hard but they still managed to sound exactly like themselves. It’s weird, but it works. he Maine’s ability to evolve their emo sound to soft-rock goodness never ceases to amaze me. I’ll admit that I spent most of the summer with my windows down and this song up loud. The relentless chorus feels both timeless and fresh and will be stuck in your head for the rest of the day. If there’s one thing I want to see more of in 2018, it’s lady rock bands. If the movie Baby Driver as exactly the same in every way except that the title character was a woman, I like to think that this would be her get-away song. his song is 100% sugary sweet bubblegum pop but in absolutely the best way. The lyrics should sound cliche but somehow just serve to fully transport you back to the 90’s, and tbh I’m perfectly fine sticking around for awhile. I put all of these songs and others that I love to drive to in a playlist that you can find here. 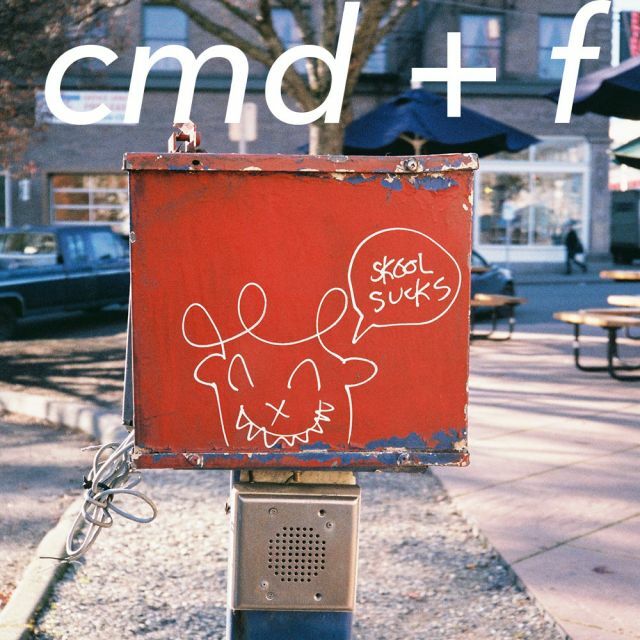 The fun don’t stop here: tune in for day five of the cmd+vent calendar tomorrow!